The insulating properties of foams are dependent on the size of their air bubbles, or pores. It is important that these pores are symmetric so that the foams behave the same no matter which way up they are. However, the growth process used to make them can distort the pores along a particular direction. Pore size analysis provides vital information about the structure and expected performance of these foams. 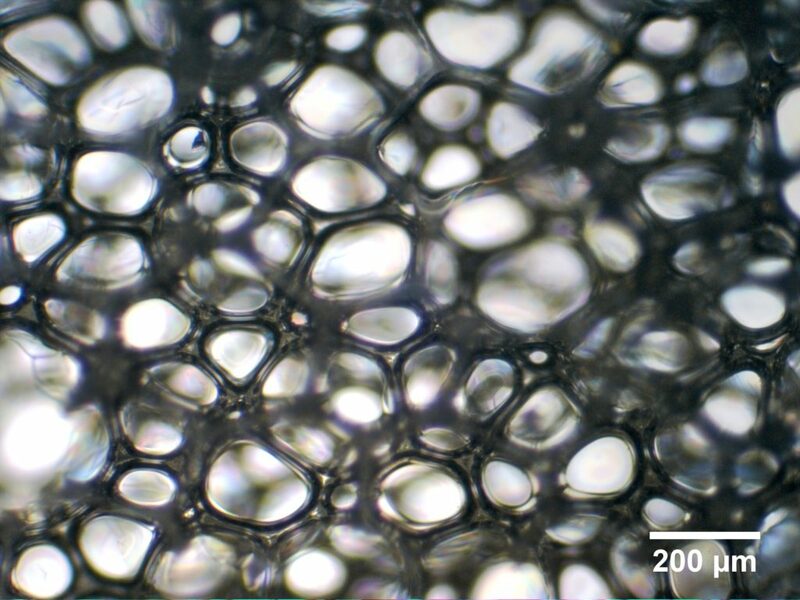 Using optical microscopy, we measured the size and shape of pores in polyurethane foams. Imaging from the side reveals how the pores are extended along the direction of growth. 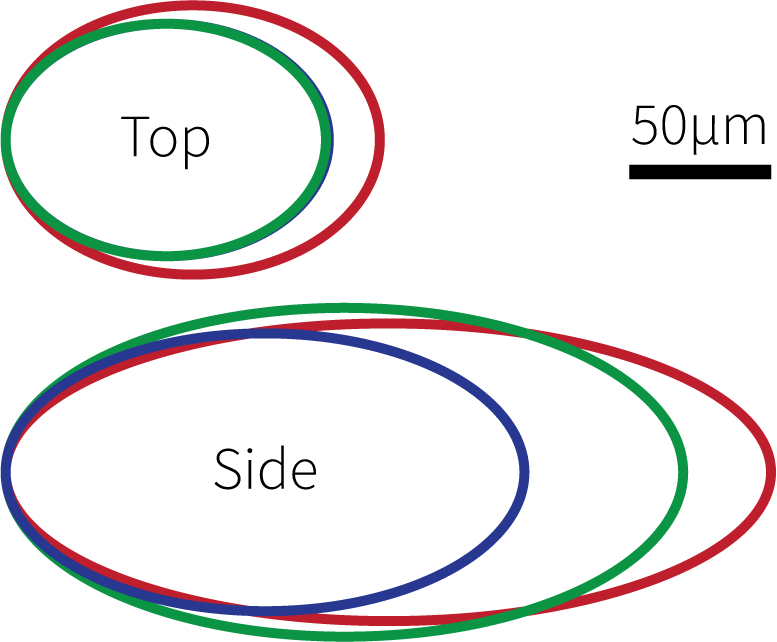 Imaging from the top shows the pores in cross-section, which are far more circular. 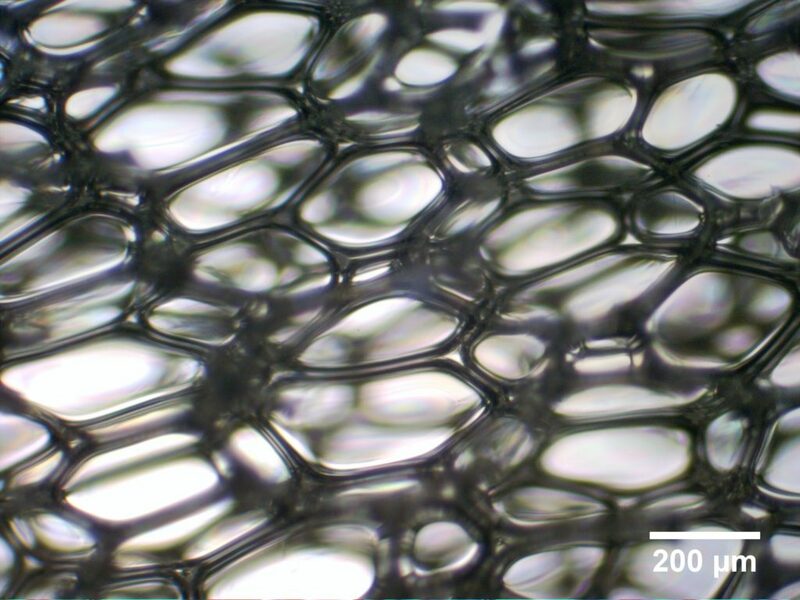 Using advanced image analysis, we determined how distorted the pores were to compare different growth mechanisms. By overlaying average pores from each sample, it is easy to see which has the most similar pore size and shape from both the side and the top. Therefore, we can evaluate and identify the best growth mechanism to produce the most symmetrical foam.